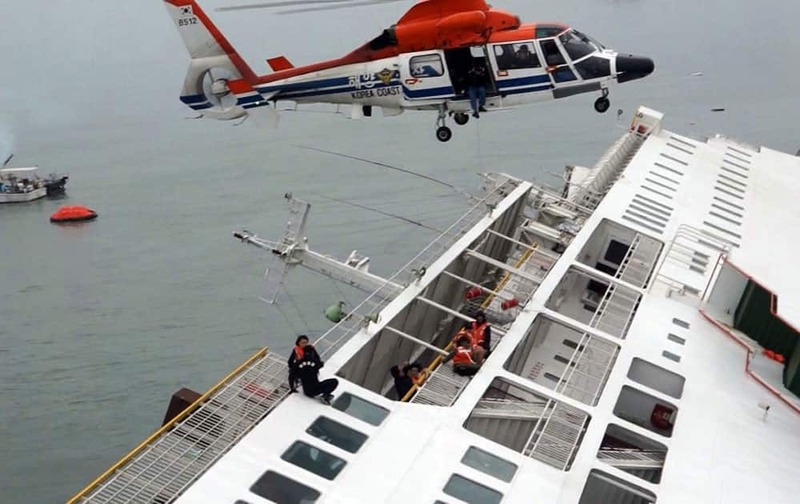 South Korean rescue helicopters fly over a South Korean passenger ship, trying to rescue passengers from the ship in water off the southern coast in South Korea. 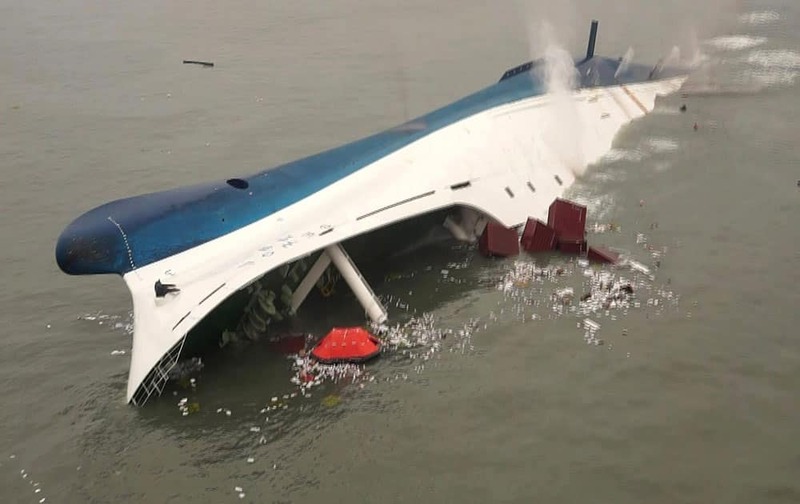 Passengers from a ferry sinking off South Korea`s southern coast, are rescued by South Korean Coast guard in the water off the southern coast near Jindo, south of Seoul. 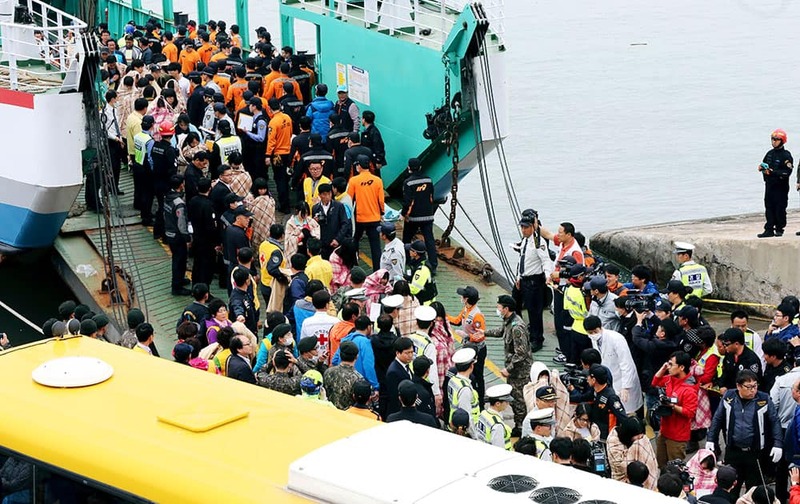 Rescued passengers are escorted by members of a rescue team upon their arrival at a port in Jindo, south of Seoul, South Korea. 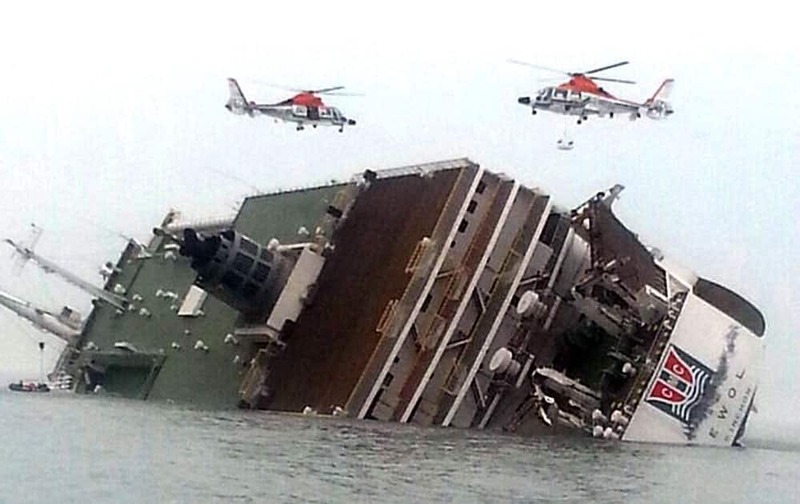 A ferry sinking off South Korea`s southern coast, are rescued by a South Korean Coast Guard helicopter in the water off the southern coast near Jindo, south of Seoul. 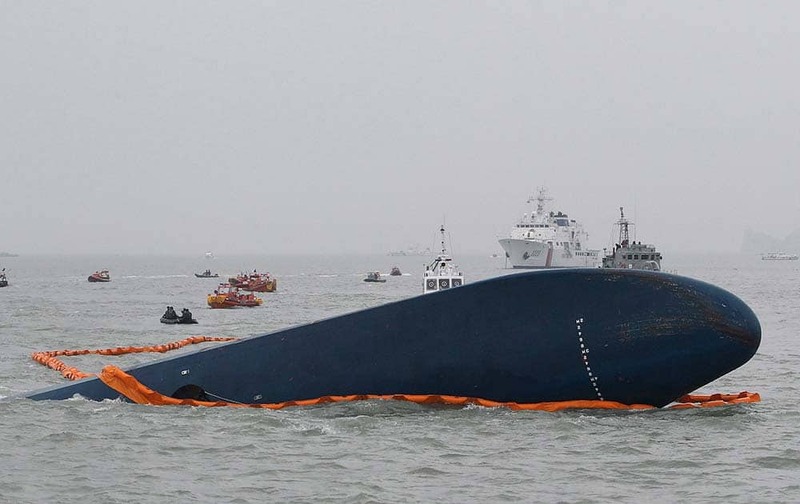 South Korean rescue team boats and fishing boats try to rescue passengers of a ferry sinking off South Korea`s southern coast, in the water off the southern coast near Jindo, south of Seoul. 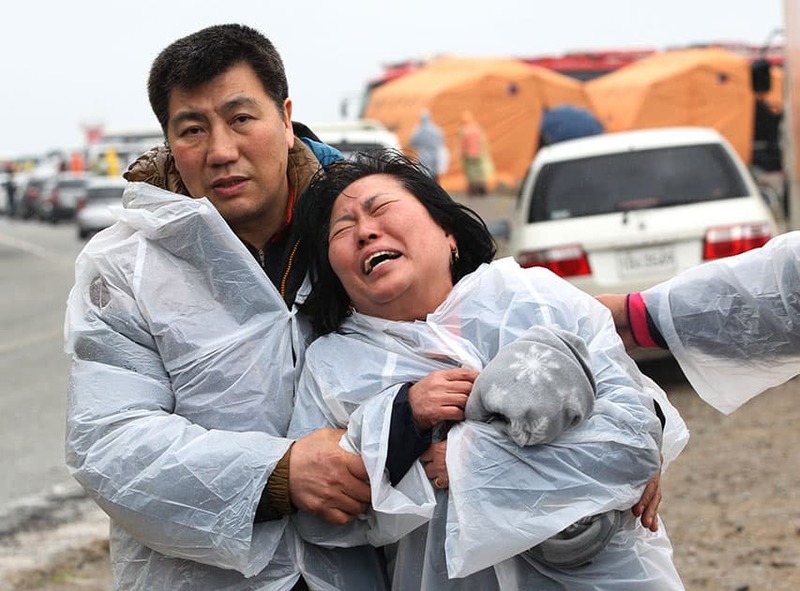 A mother weeps as she and others search for their children`s names among a list of survivors rescued from a ferry that sank off the country`s southern coast, at Danwon high school in Ansan, South Korea. 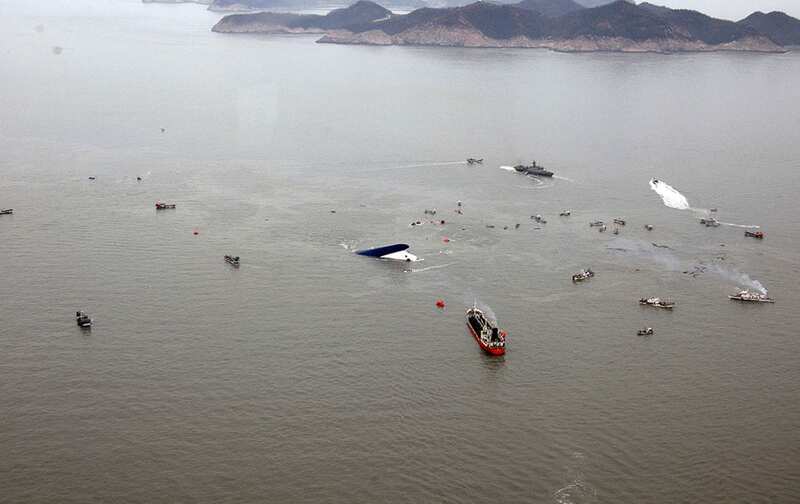 A ferry sinks in the water off the southern coast near Jindo, south of Seoul. 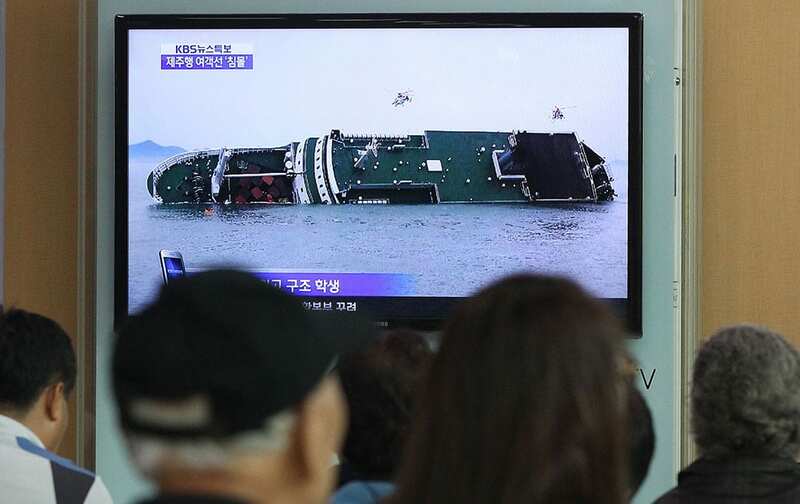 People watch a TV news program showing a sinking passenger ship, at Seoul Railway Station in Seoul, South Korea. 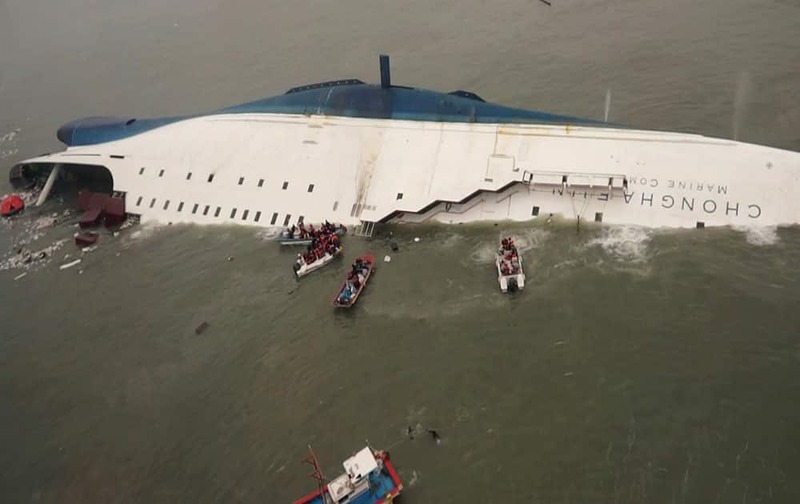 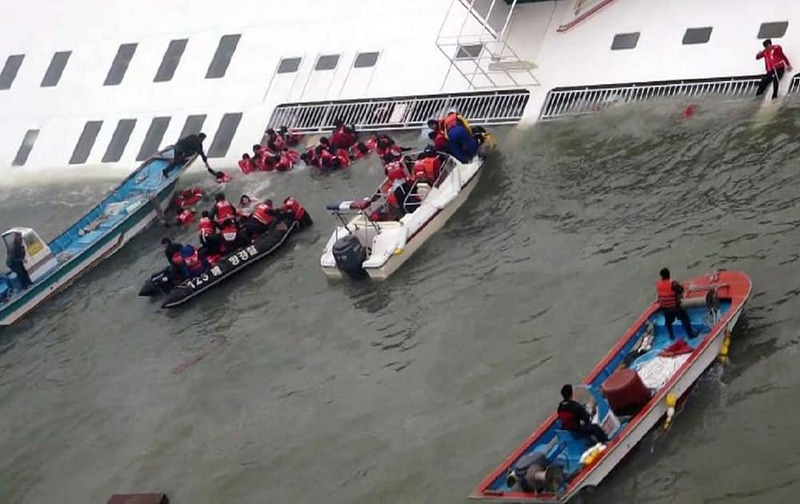 The South Korean passenger ship carrying more than 470 people, including many high school students, is sinking off the country`s southern coast Wednesday after sending a distress call, officials said. 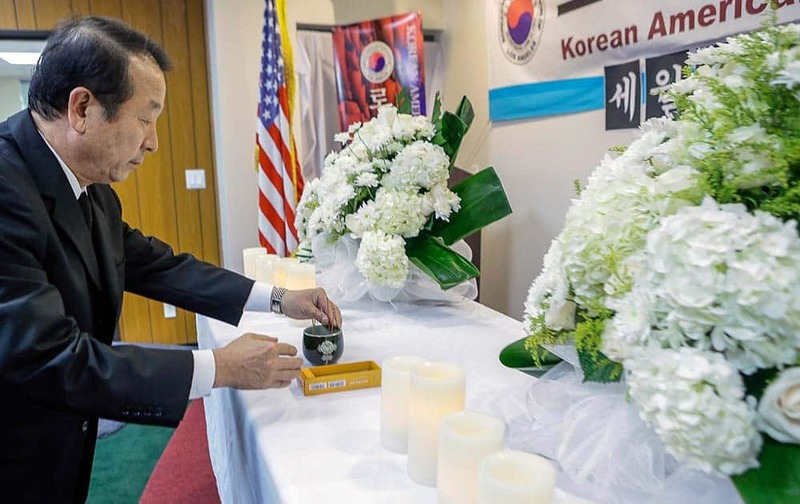 Mon Han Bae, president of the Korean American Federation of Los Angeles, lights incense, during a vigil for victims aboard the sunken South Korean ferry boat, at the Korean Federation of Los Angeles. 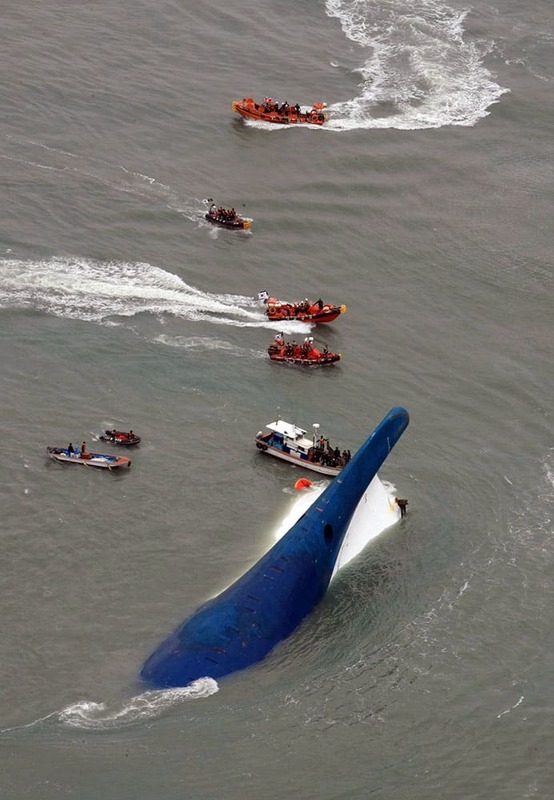 South Korean Coast Guard officers search for missing passengers aboard a sunken ferry in the water off the southern coast near Jindo, South Kore. 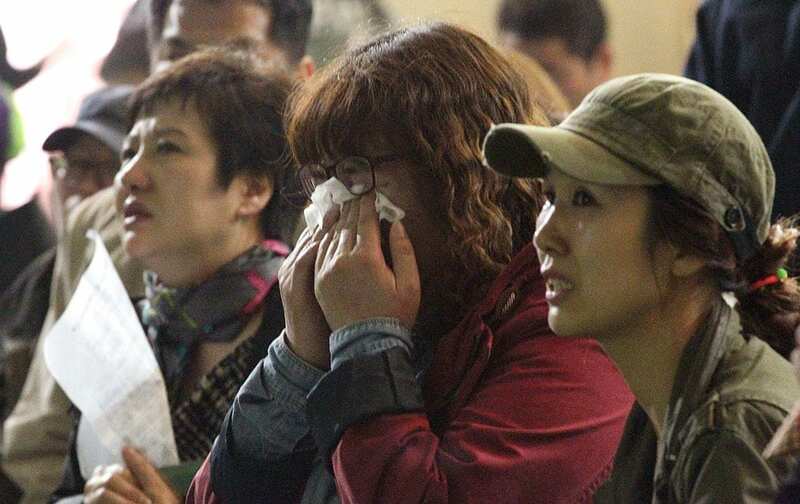 Relatives of a passenger aboard a sunken ferry weep as they wait for the news on the rescue operation, at a port in Jindo, South Korea. 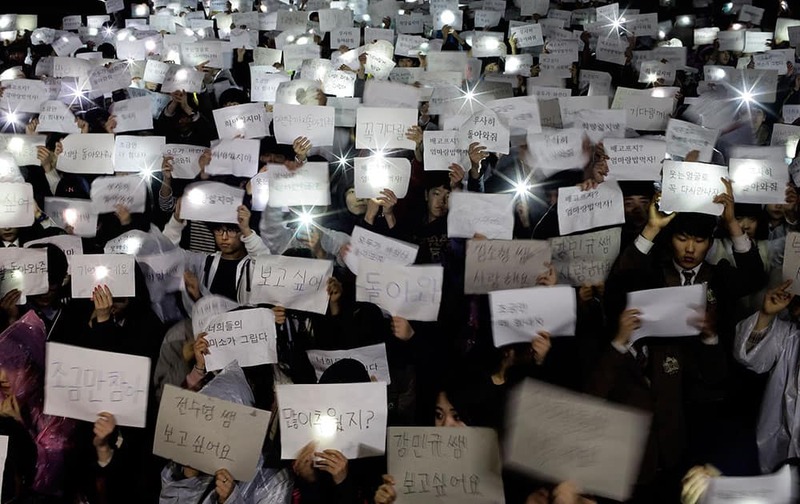 Danwon High School students hold papers with messages such as `come back,` `miss you,` `love you` and `don`t loose your hope` for their friends who are missing after Wednesday`s ferry disaster at the school yard in Ansan, South Korea. 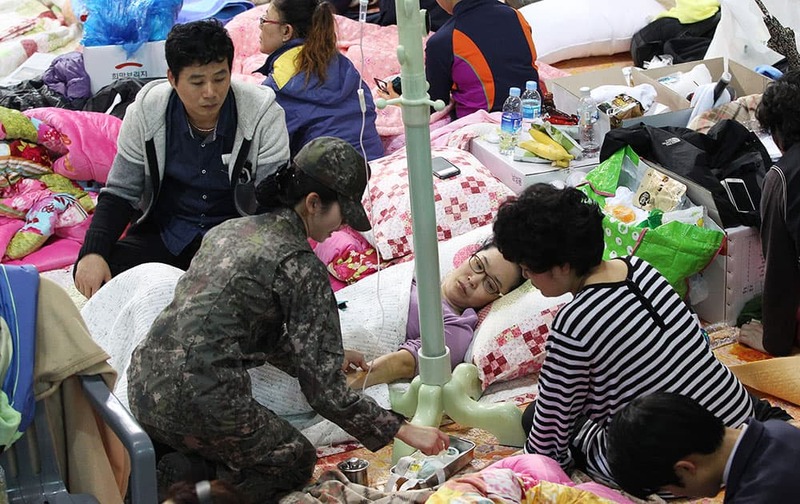 An army doctor attends one of parents whose children were aboard the Sewol ferry and are now missing, on the floor at a gymnasium in Jindo, South Korea. 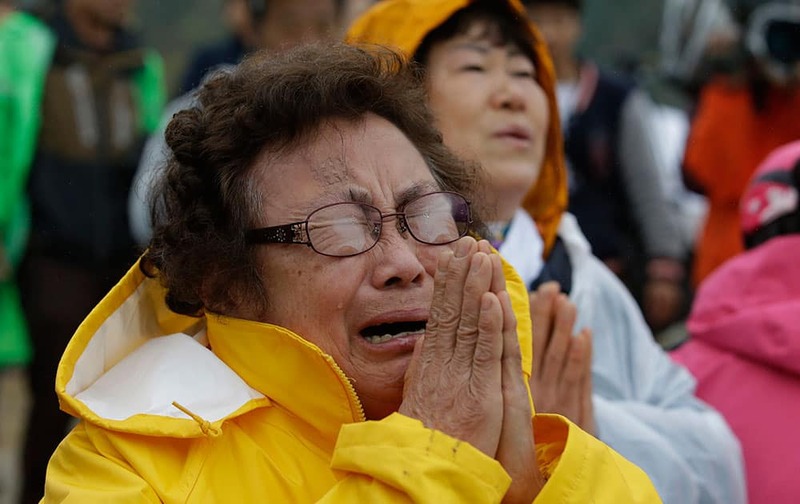 One of relatives of passengers aboard a sunken ferry cries during a Buddhist ceremony to pray for speedy rescue and their safety at a port in Jindo, south of Seoul, South Korea. 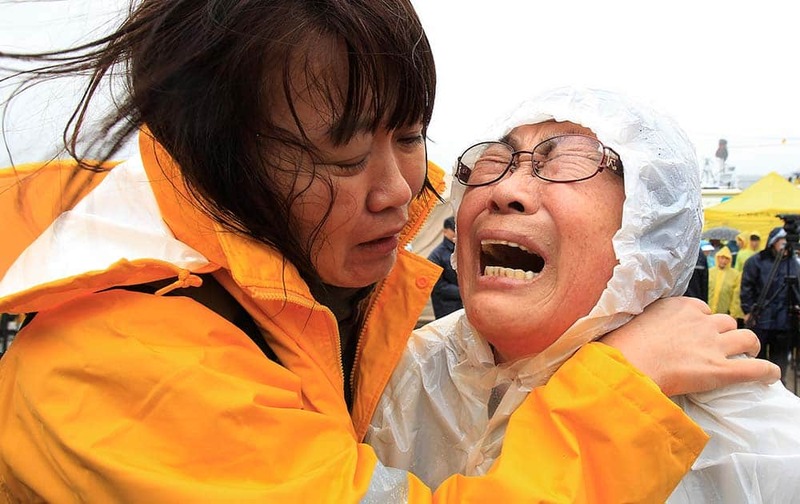 A relative of a passenger aboard a sunken ferry weeps at a port in Jindo, South Korea.